Groundhog’s Day is tomorrow, February 2nd. Here’s a few fun things to do with the kiddos to celebrate. This little groundhog pop-up is so cute. My boys loved this…pictured above my son here is now 12 and it has been a few years since we did these. My 5 year old is going to love it, so I am bringing it back this year. Go here for the color version or here for the black and white version and print out. The popsicle stick may not be long enough in which case you can shorten the paper tube or you could choose to use a pencil instead of the popsicle stick. 2 ideas for a snack…is to use a chocolate cupcake and/or cup of chocolate pudding. You can see in my above picture. All you need is some sort of longer cookie. I used a vanilla wafer above, but I’ve also used milanos in the past. Other cookies that would be good would be vienna fingers, nutter butters, etc… Make a little face on the cookie using some of the chocolate icing. I also used the icing to place two cornflakes on the back of the face cookie to make ears. Then, simply place the decorated cookie into the cupcake. 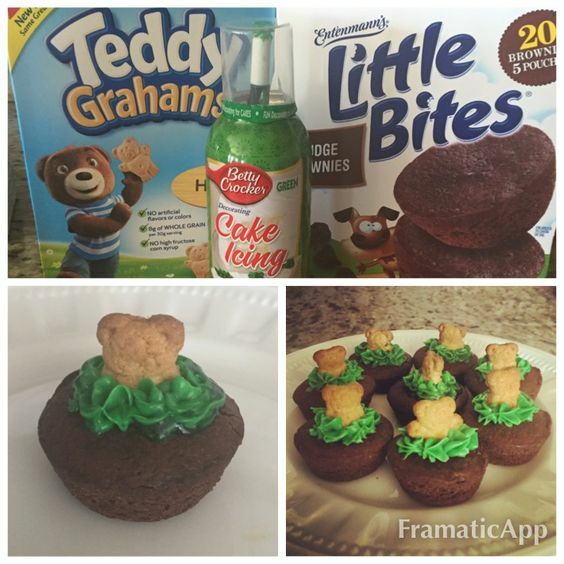 Be creative…you can add grass easily too with green icing or green colored coconut…or dirt with crushed up oreos. Anyway you make this, the kids will love it! I also love this one I found on pinterest that uses brownie little bites, green icing and teddy grahams! 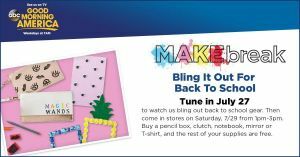 Grab the kiddos and one of their back to school items and drop on over to Michaels, Saturday, 7/29 from 1pm – 3pm local time to bling out an item. Buy a pencil box, clutch, notebook, mirror or T-shirt and the rest of your supplies to bling them out are free. Michaels also has a Kids Club event today, Saturday, July 29 from 10-12pm. The cost is $2 per project, supplies included. They will be making a Summer Planter. And last, but certainly not least…while you are there…don’t forget your coupons and their sale items this week. Go here for a 50% off one regular priced item or pull it up in the app. There is a two-day sale, 7/28-7/29 on shirts for just $2 = score! And 50% off crayola, $2 scrapbook paper…just to name a few. Check it out here. Homemade Liquid Dishwasher Detergent Recipe – Easy and CHEAP! It’s 11 o’clock at night and I’m getting ready to go out of town the next day. I have a dishwasher full of dirty dishes. I reach into the box to get out a dishwasher tab, and it’s empty! Yep, this happened to me this week. I got on the internet in search for an easy dishwasher detergent recipe that did not require borax (don’t have any), and I found it!!! Combine all the ingredients in a non-reactive saucepan over medium heat. Mix until everything has dissolved. Remove from heat and let cool. Pour into glass container. Shake before using. Fill dishwasher compartment and pour white vinegar into rinse compartment. NOTE: If you use baking soda, it will react with the vinegar and create a lot of foam. Use a large pot to heat ingredients. Once you take the mixture off of the stove the foam will go down. I have to say it’s super easy to make, and it works great! It is a little liquidy compared to what I’m use to, but it really doesn’t matter. I hope you’ll try this recipe. It’s definitely my go to recipe now. Frugal Friday: 2 Ingredient Homemade Detangler! Does your daughter say “OUCH!” every time you brush her hair? My daughter definitely does! Here’s an EASY homemade detangler recipe that’s FRUGAL, and you already have these ingredients on hand! This picture was taken a few months ago, but for already being 2 1/2 she’s got some LONG hair! Tangles are a normal occurrence for us! Conditioner – these sample packets work GREAT! Squirt a few drops of conditioner into a spray bottle, then add water and fill up the bottle. Remember to shake the bottle before each use to distribute the conditioner evenly through the bottle! Thrifty Thursday: Clay Pot Cake Stand, Easy & Cheap! 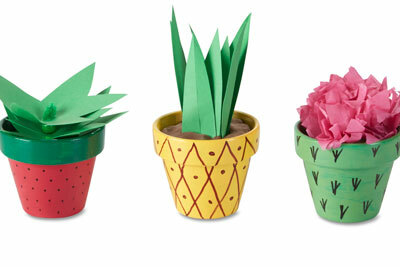 Looking for a thrifty craft project for the summer? You’re going to LOVE this clay pot and base turned into a gorgeous cake stand. Head on over to joshuatrent.com: City Style to Country Flair and see how you can make one of these for your kitchen table! Are You Seeing All Save At Home Mommy Posts On Facebook? Make Sure! They want us to pay a fee per post to make sure everyone sees it, no thank you! I’m a money saving gooroo and spending money isn’t my idea of being thrifty. FYI: I have no bitterness towards Facebook, they are a business too! Another thing you can do to make sure you see all the posts is to interact with me on the Facebook page. If you like a certain post, then “like” that post! It helps me make sure I’m posting things that are of interest to you, and it helps guarantee that you’ll see the posts for SaveAtHomeMommy! You can always just go directly to the website saveathomemommy.com to see all the posts and much more, that’s my #1 recommendation. Hope all of you will make these updates. I LOVE each and everyone of my readers and I appreciate your support!